Each year, thousands of pleasure boats and commercial ships catch fire. Many of these go relatively unreported in the news. Unless someone is killed, or it is a famous mega yacht, it’s rare to hear about it. However, BoatUS has compiled a list of some of the most common reasons for boat fires in the U.S. If you or someone you love have been seriously injured in a fire aboard a pleasure boat or commercial vessel, call Michael F. Guilford, P.A. today. BoatUS reports that about 35% of all boat fires occur because of a DC electrical issue. So what is a DC electrical issue? In short, it means batteries or inverters. It is just a general category that accounts for any sort of fuel and electrical combination that leads to fire. Many fires happen when there is a loose connection or wire to a DC battery or an inverter short circuits, and a small fuel leak allows gas to touch the battery and/or wiring. Heat plus a fuel source is all it takes. For small pleasure crafts, this is rarely the cause of a fire, as AC power pertains to plugged in power sources. Most small crafts will only use AC power when plugged in to a stable power source, such as a dockside charging port. Boaters who camp in their boats while docked sometimes choose to plug into an AC power source in order to use the radio, heaters, and other accessories. These can lead to fires when circuits are overloaded. 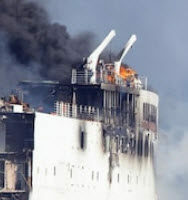 In larger ships, there may be a permanent AC power source that can overload or overheat, leading to a large ship fire. As BoatUS reports, more than half of all “non-electrical” fires on ships are due to an overheated cooling system. So here we are talking almost exclusively about boats, yacht and ships with inboard engines.Think of your car. It has a cooling system which relies on air flow through the engine and coolant fluid to keep the engine from exceeding a specific temperature. If the system stops working, you run out of coolant, or the thermostat stops functioning, the engine can quickly overheat, leaving you on the side of the road with smoke coming out of the hood. The same is true of a vessels. Fires can break out when the engines overheat and then the engine compartments, which contain much of the electircal wiring and fuel, overheat. This is especially common in commercial and barge vessels. Where there are multiple exposed fuel sources or where chemicals are being used or transported, it is not uncommon for superficial fires to break out. For instance, cleaning crews may leave rags soaked in chemicals in a closet or particularly hot area of the ship. This can lead to combustion. Once a fire ignites, it can spread quickly on a ship. Though technically not a “cause” of fires, otherwise small fires could easily be extinguished by working sprinklers and gas fire extinguishers being charged. A 2012 government report cited several cruise lines for violations involving outdated or inadequate sprinkler systems, defective sprinkler heads, and even insufficient fire hoses and apparatuses. Injured in a Boat or Ship Fire? If you or a loved one have been injured as a result of a maritime fire aboard a pleasure craft or commercial vessel, you may have a right to significant monetary compensation. But your time for pursuing compensation is limited. 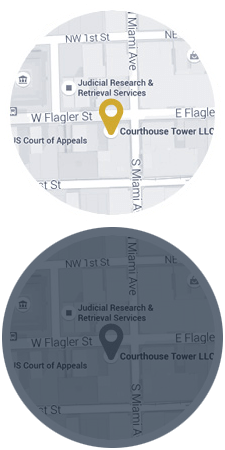 Call Michael F. Guilford, P.A. in Miami today to speak with an attorney who understands maritime injuries. The call is free, and we only get paid if you do.